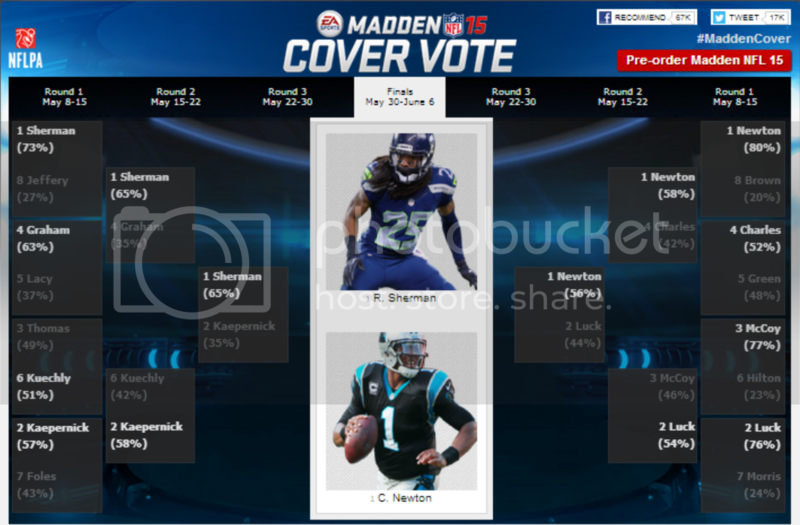 12s, thank you for all the love and support you've thrown my way for the Madden15 cover vote. To show my appreciation, I am giving away autographed gear to a select few. Just share or retweet my latest Madden post to be automatically entered. We have one more round to go before we take this cover home. - Don't forget to vote.